Plumbers are exposed to a variety of pathogens and substances every day. Preventing contact with these hazards is vital to their health and the health of the communities they serve. With the many strange and gross things that end up down the toilet or drain, plumbing isn’t a job for the faint of heart. It’s also not a job for the careless. June is National Safety Month so here is a reminder of the dangers lurking in raw sewage and how you should protect yourself. Raw sewage is, as you can imagine, a germ jubilee! It can carry dozens of life-threatening microorganisms including tetanus, E. Coli, hepatitis A and B, and typhoid fever. Plumbers can also be exposed to infections like histoplasmosis or hantavirus, from bird or rodent feces found on roofs, basements and in crawl spaces. Such diseases can cause hemorrhagic fever or kidney failure. Plumbers are also commonly exposed to hazardous substances like lead, asbestos, mold and sulfur dioxide. Long-term exposure to mold can cause serious issues like upper respiratory tract illnesses or the development of asthma. Wearing PPE’s prevent pathogens from contacting the skin. They should be waterproof or liquid-repellant to prevent sewage from reaching your skin or any cuts and abrasions. But wearing the right equipment is only half of the battle when protecting yourself from biohazards and toxic substances. The final piece in preventing job-related disease is keeping contaminated items away from clean spaces. If you wear your dirty work boots home, you risk exposing yourself and your family to everything on them. Work gear should be left at work and cleaned separately. 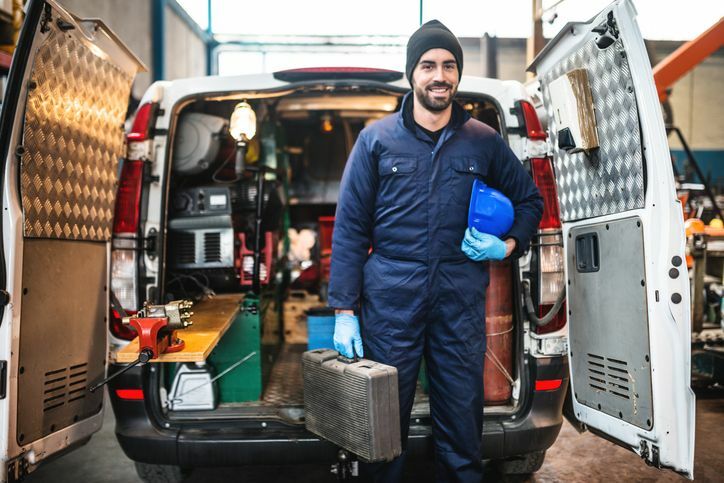 If you drive your work truck home, change out of contaminated clothing and shoes before getting in the driver’s seat. In the end, preventing disease comes down to one simple idea: clean it no matter what. Your clothes, your equipment, and your truck; it’s better to be safe than sick. Following this simple rule protects you from most cross-contamination: Wash your hands; wash your hands; wash your hands. Wash with soap and water before eating, drinking, smoking, using the bathroom, touching your skin or after any contact with contaminants. This entry was posted in Plumbing and tagged Michigan Plumber, Michigan Plumber Exam Prep, Plumber Courses, Plumbing.